I love HoZac. 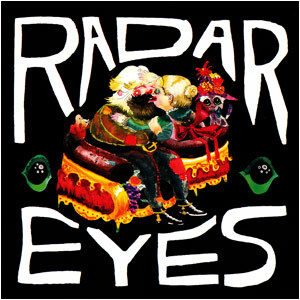 They consistently give me great Chicago bands to listen to and this 7″ from Radar Eyes is no exception. Within the first 10 seconds of “Shakes,” I was sold, and the rest of the song didn’t disappoint; I might go as far as to say this is possibly the best song of the year. It’s so good, in fact, that I was convinced for days that it must have been aped from some lost 80s hit. The b-side, “Not You Again,” follows the same “so good it must be stolen” formula. It’s refreshing to see a band relying so heavily on great songs rather than the old played out fuzz trick that makes it so hard to find a good Garage band these days. When I saw these guys at SubT earlier in December the power of this refrain was was the highlight of the show. It’s not quite as powerful on record, but few times it ever is. The band has said they have an Ep coming out early 2011 on Rococo Records. From what I’ve heard, I can’t wait.